Chamonix white with a black vinyl interior. It is fitted with a 2.0 litre, four cylinder, 120 bhp engine with twin Solex carburettors and a four speed manual gearbox. This car is in very good, sound condition and has a superb, original interior. It is an original right hand drive car supplied new to the UK. The first family owners kept it until 2008 an it has two keepers since. In May 2010 it was prepared for the Marathon Rally which included thorough servicing and the fitment of full harness seat belts, the originals come with the car, and a new Brantz trip recorder. It drove nearly 2,000 miles without missing a bit save for a small hiccup with a blocked fuel filter caused by very low fuel. The tank has since been drained. The car is mechanically standard. It was built in January 1968 and registered in April 1968. 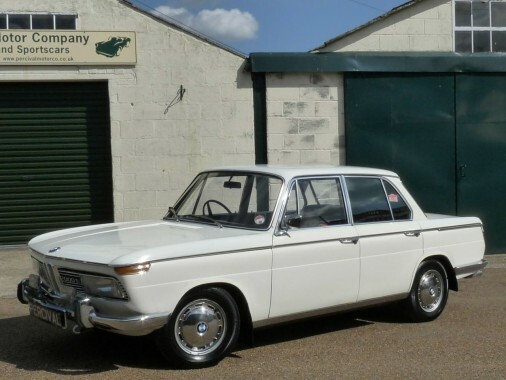 It has MSA papers and is generally accepted for competitions with cut off dates of December 1967 as it is identical to similar cars produced in 1967. It drives superbly and has a real turn of speed. Rare in this country.